Brandon Coneby represents clients with environmental matters and is located in Dinsmore's Pittsburgh office. Brandon represents energy companies and landowners in connection with federal, state and local environmental laws and regulatory programs, with a primary focus on environmental issues relating to energy extraction (notably coal and oil and gas). Since joining the firm in 2006, he has been involved with a variety of environmental matters relating to coal extraction and natural gas exploration, production and distribution. He also has counseled energy companies on complex environmental matters involving: water loss and subsidence; oil and gas production; remediation; wastewater management; and federal, state and local reporting requirements. Additionally, he has represented landowners in negotiating oil and gas leases for the Marcellus Shale formation and actions to defend the subsurface rights in leases dating back to the 1950s. As part of his environmental practice, Brandon represents companies of all sizes before federal and state regulatory agencies, such as the United States Environmental Protection Agency, the Pennsylvania Department of Transportation and the Pennsylvania Public Utility Commission and federal and state administrative tribunals, such as the Federal Mine Safety and Health Review Commission and the Pennsylvania Environmental Hearing Board. Brandon’s experience includes representing a large metals processing company in negotiating the terms of a new National Pollutant Discharge Elimination System Permit to recycle waste at a wastewater treatment plant; as well as advising a chemical manufacturer with the development of remedial actions to "clean up" a contaminated site which was listed by the United States Environmental Protection Agency on the National Priorities List. He also represented a large coal company in a state court action to enforce its rights to access surface property for the purpose of conducting exploratory mining activities, and he has advised a multitude of dredging companies in securing the necessary permits from the United States Army Corps of Engineers and the Pennsylvania Department of Environmental Protection to dredge along the Ohio and Allegheny Rivers. 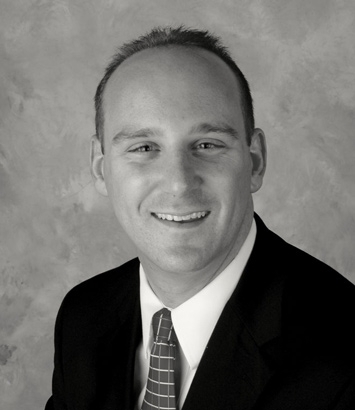 A small portion of Brandon's practice involves advising clients on issues involving the aquatics industry. He has advised municipalities with various issues including: lifeguarding and staffing requirements; steps necessary to comply with the Virginia Graeme Pool and Spa Safety Act; and how to implement new requirements imposed upon aquatic facilities under the Americans With Disabilities Act. He has also represented homeowners in lawsuits involving construction of swimming pools and swimming pool accidents. He is a certified instructor for the National Pool and Spa Foundation's Certified Pool Operator course and is a frequent speaker at seminars sponsored by the Pennsylvania Parks and Recreation Society.